This is a pair of Team Associated P/N 7427 front springs. 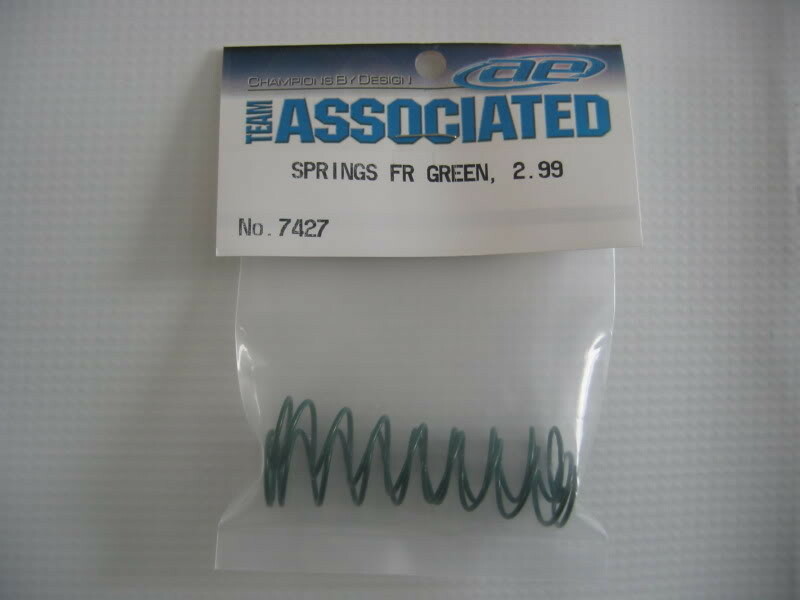 These have a 2.99 lb rating and are good for Clod racers or crawlers. Shipping Charges: Our standard shipping charge is $5.50 for the 1st item and $1 for each additional item purchased. This product was added to our catalog on 12/12/2010.